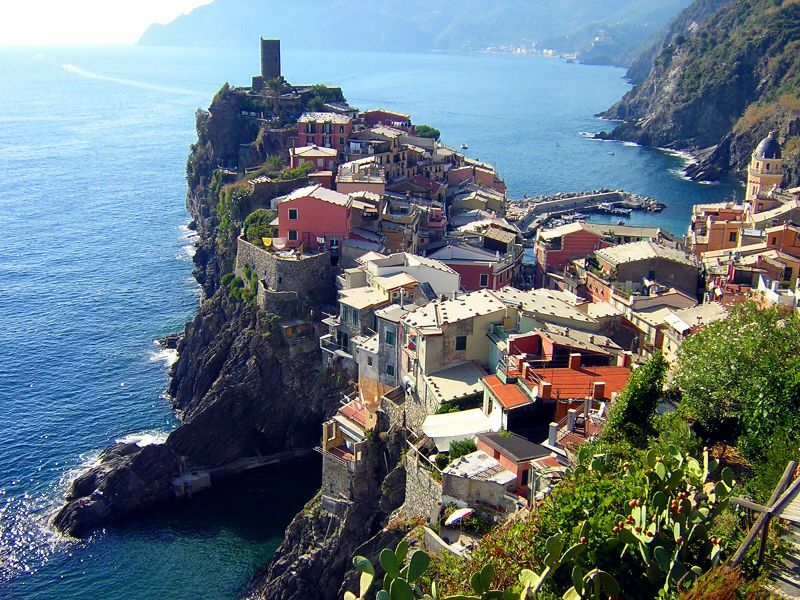 How does a town of merchants become a major cultural force on the international stage? This is one of the many questions that are answered when you visit Florence, Tuscany’s capital city. 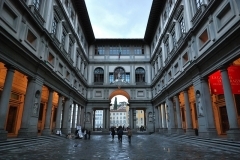 Tour in Tuscany includes a stop at the Duomo, the arresting church of Santa Croce, and Uffizi museum – one of the oldest and most famous museums in the Western world – located on the equally famous Arno River. 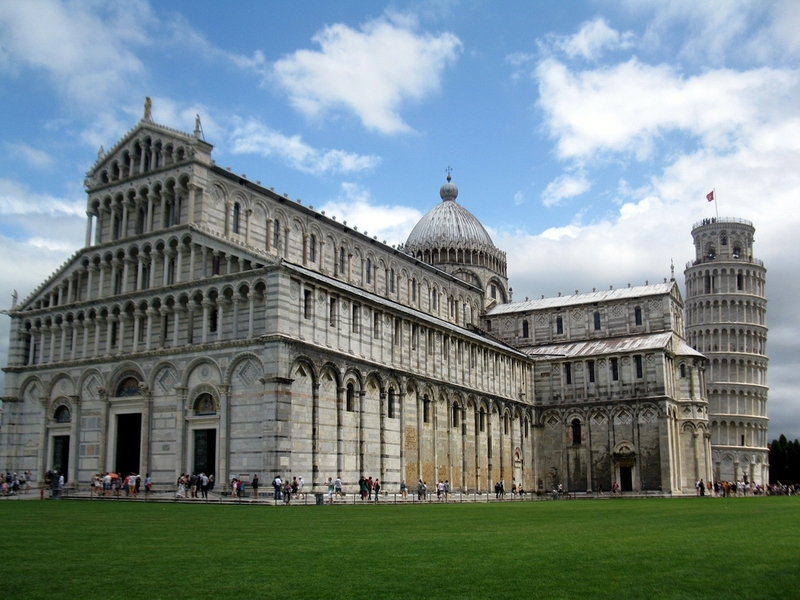 Still along the Arno but this time closer to the coast is the city of Pisa. 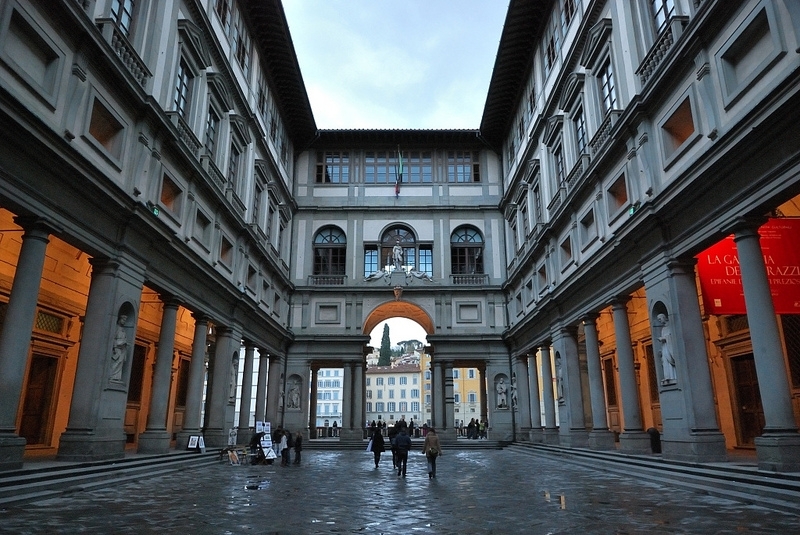 Despite not being as big as Florence, it still has some impressive walking tours and sights to be seen. 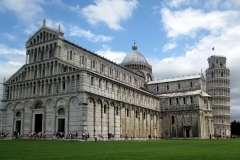 Popular activities include the Piazza dei Miracoli to leaning tower walk, a visit to the baptistery and stroll through the interior of the city’s majestic Cathedral. 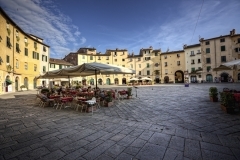 As it usually only takes half a day to visit these sites, you may also consider a trip to nearby Lucca. This famous walled city is well known for its enchanting historical centre, Anfiteatro Square, Guinigi Tower, San Martino’s Dome and antique dealers street. 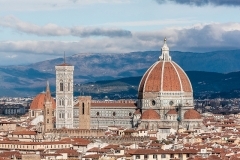 A drive from Florence to Siena will take you through some of the region’s best-known vineyards – marking the perfect opportunity to taste authentic Italian wine while you snack on homemade bruschetta, local cold meats and cheeses. 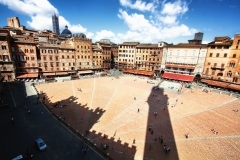 When you do make it to Siena – one of the most fascinating medieval cities still intact in Europe today – you will be amazed by the beautiful squares, including Piazza del Campo where the Palio horse race takes place, imposing Cathedral and churches and high-quality artesian shops. 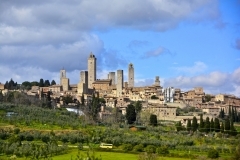 Known as ‘the city of beautiful towers’, San Gimignano is both intimate and distinctive. 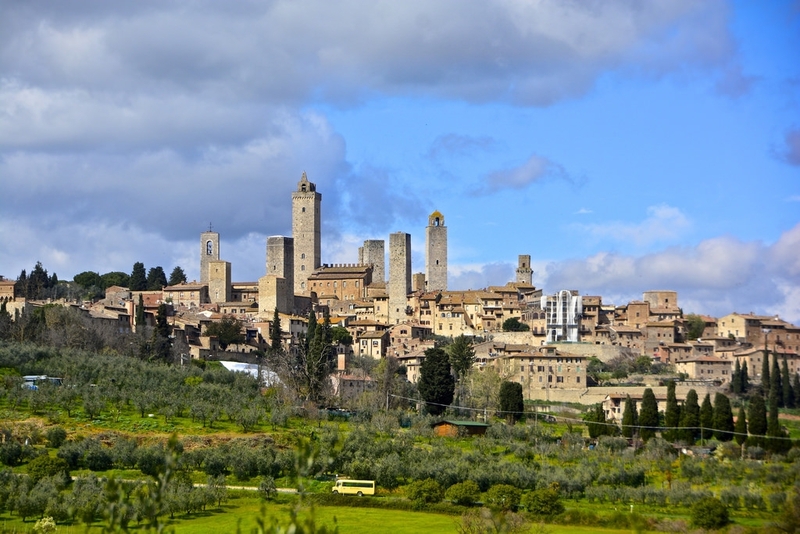 On your visit, why not cycle through Piazza della Cisterna, visit Podestà palace or climb to the top of one of the 14 remaining towers.